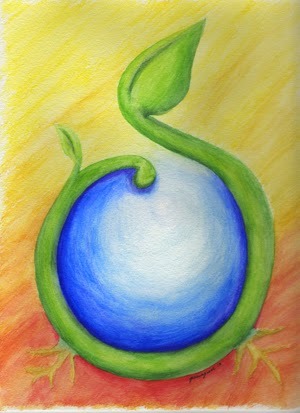 An intuitive art piece of a vine growing and taking root, with a drop of water at it’s center. The image represents the birth of psychic abilities within a person; a new beginning. The 9″x12″ original watercolor pencil drawing is no longer available for sale. Prints and novelty items are available through Zazzle (use the widget below to be redirected).